Looking back at her years growing up, Phylis Makurunje describes herself as “this odd girl who made wire cars”. “A lot of people around me took me so seriously that parents in my neighbourhood would come to my mother to ask for me to make wire cars for their kids. One day, I saw an older boy who had made a helicopter which rolled on wheels, and I said to myself, ‘I want to make a helicopter too’. 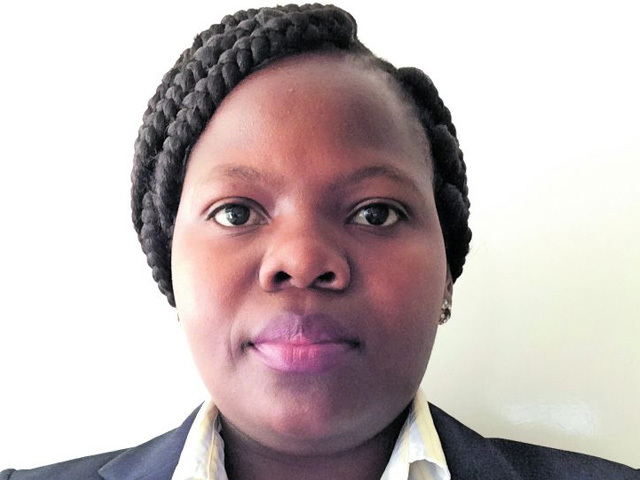 My career path since then did not take a straight line; I startlingly leaped back into my dream when I got the opportunity to study aerospace materials at the University of the Witwatersrand,” says the 31-year-old. A PhD candidate under the DST-NRF Centre of Excellence in Strong Materials at Wits University, Makurunje specialises in ultra-high temperature composites (UHTCs) for rockets and future hypersonic space aeroplanes which can travel across continents in just one hour. Two patent applications have been submitted for her inventions in the past year. In May 2017, she was awarded the Prof. S Luyckx award by Wits University for “making an outstanding contribution to the field of hard metals and powder metallurgy”. A passionate public speaker, Makurunje was also a finalist in the 2017 Famelab South Africa competition. She has worked with renowned science communicators like Robert Inglis of Jive Media and Quentin Cooper of the British Broadcasting Corporation and was one of the guest speakers at the 2017 SAASTA (South African Agency for Science and Technology Advancement) National Olympiad Awards ceremony. In August 2017 she was invited to participate in department of science and technology’s dialogue with minister Naledi Pandor on women’s economic empowerment in the changing world of work. Makurunje also sits on the President’s Council of Student Advisors of the American Ceramic Society, and serves on the Space Generation Advisory Council. She has also been chosen as a delegate at the United Nations 21st session of the Committee on Sciences and Technology for Development focusing on space technologies and space security.